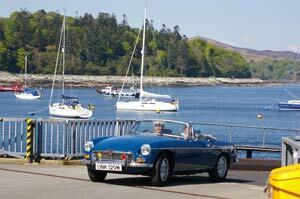 Classic Car Hire is the ideal birthday gift for him. Treat your loved one to a birthday present they will simply never forget. Hire them a classic car! Members of the HCHG offer a mouthwatering range of classic cars available nationwide as special birthday gifts and surprises - the best gift for him you can find...! Members can either arrange a surprise birthday gift for you or provide special birthday gift vouchers reserving the car of his dreams for a later date (that you can then decide between you). Review our list of HCHG Members or search the Classic Cars for Hire on-line classic car hire database for the car you feel he would most enjoy having 'temporary ownership' of over his birthday. Go on make this the special Birthday Gift for Him you've been searching for!